More than 40 years ago, Dr. Henry Long established a small family dental practice in Cleburne, TX that offered experienced care, comfortable attention, and the highest standards of service possible for his neighbors throughout the local community. In 1995, he was joined by his son Dr. Robert Long (also known as “Dr. Bob”), followed by his younger son Dr. Chris Long (also known as “Dr. Chris”) in 2004. While Dr. Henry is now retired, Dr. Bob and Dr. Chris are so proud to carry on his work today, continuing a legacy of devoted, patient-centric oral healthcare that will hopefully continue for many more years to come. In addition to the original Cleburne practice, we now have a second office in Midlothian, which means we’re conveniently located for even more families throughout the greater DFW area. Do you have any questions for our team? Are you ready to schedule a first appointment? Don’t hesitate to contact Long Family Dental today! You can also keep reading below to learn more about the unique benefits our practice offers. We hope to welcome you and your loved ones in soon. From the very beginning, our practice has been in the capable hands of one dedicated family, and there’s nothing we enjoy more than being able to help patients feel like honorary members. Dr. Bob and Dr. Chris were raised right here in Cleburne, and while our locations and available services may expand over time, our entire team is committed to maintaining the local, tight-knit atmosphere that seems like a second home every time you walk through the front door. At Long Family Dental, we don’t believe in the idea of “one size fits all” care. Every person has different goals and priorities, and their smiles are wholeheartedly unique as well. That’s why our doctors go out of their way to help patients develop comprehensively custom treatment plans that are well-suited to their personal needs, scheduling concerns, and budgetary limitations. We want to help you reach the vision you have in mind for your future oral health and happiness. 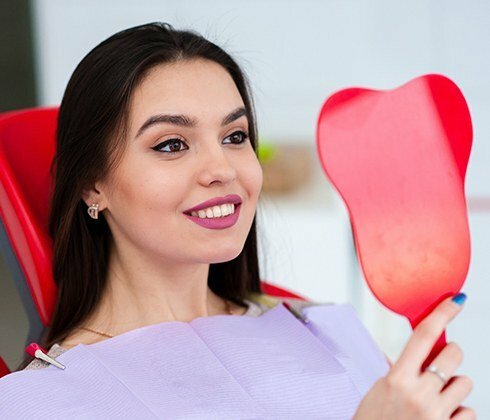 We get it – dentistry is often an investment, and you should be able to trust in your chosen dental practice to provide durable, attractive improvements that last for the long-term. In addition to maintaining top-tier clinical standards, our staff also goes above and beyond to emphasize excellent customer service, providing excellent comfort in the treatment chair and addressing questions and concerns as soon as they arise. Simply put, we want to create trusting relationships with our patients that last for years to come! 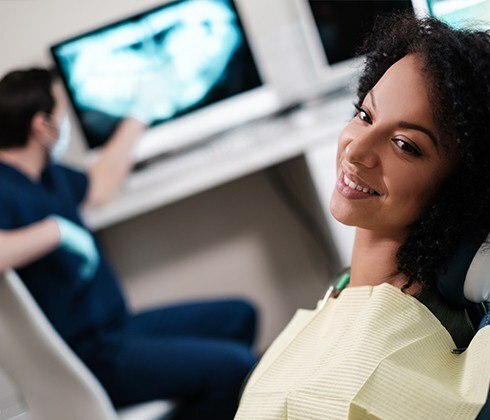 The dental field is constantly evolving for the better, and patients can find widespread evidence of these technological advancements right here in our Cleburne and Midlothian practices. Dr. Bob and Dr. Chris regularly use modern tools like all-digital X-rays, intraoral cameras, putty-free impressions with 3M, and custom crown milling throughout the treatment process to create even more successful outcomes for smiles.